After Jensen’s death, his padlocked barn revealed not more scrap metal, but a hidden treasure. 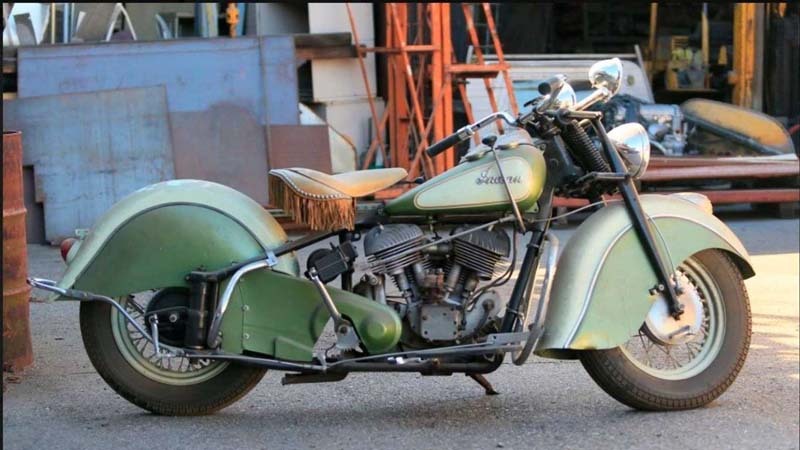 Fifteen vintage Indian motorcycles, among which is, your eyes do not deceive you, an Indian Papoose. 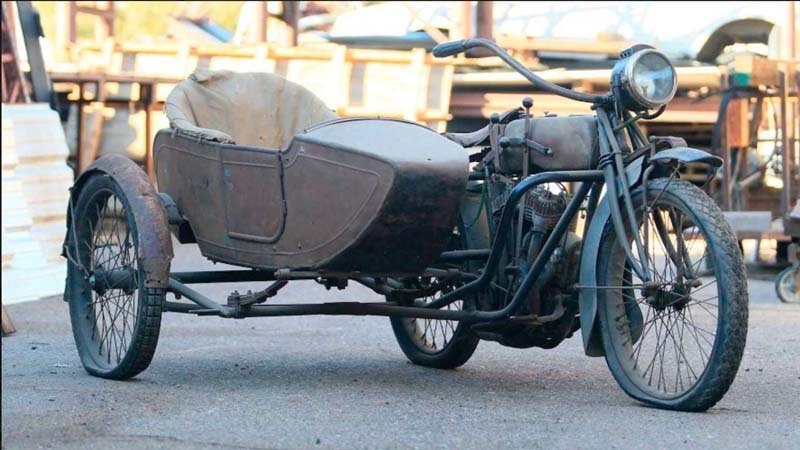 Manufactured in the UK as the Welbike and rebadged by a struggling Indian, it was developed for wartime use as a paratrooper scooter! 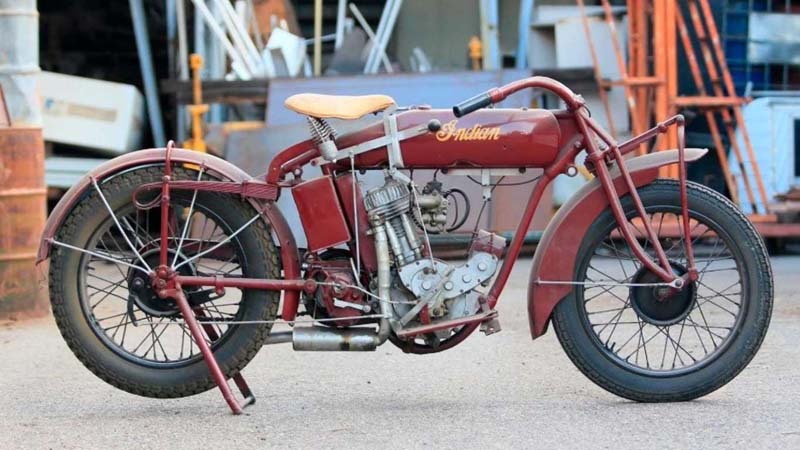 There are also eight Indian-branded bicycles and hundreds of pieces of Indian-branded memorabilia items (the auction house refers to these things as “road art”) on offer. 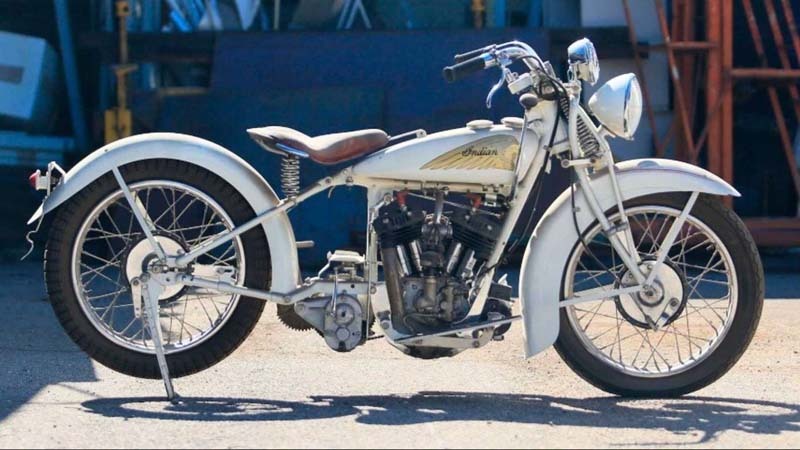 Signs, screwdrivers, spark plugs, belt buckles, letter openers—all bearing the Indian motorcycle brand—show an extreme level of dedication to this marque and a constant vigilance in hunting them all down that must have spanned decades. Unfortunately, not much is known about the dedicated collector today; we regret that the recluse died without talking about his collection, and, apparently without showing it to more than one or two people in his lifetime. He was obviously dedicated to the brand, however, and this week his collection is up for auction in Las Vegas. Each piece is offered there with no reserve, and happily, it has all been cataloged so we can drool over the pictures and wonder at this man’s passion. The surprising part of the find, and the collection, is that he accomplished it almost entirely in secret. 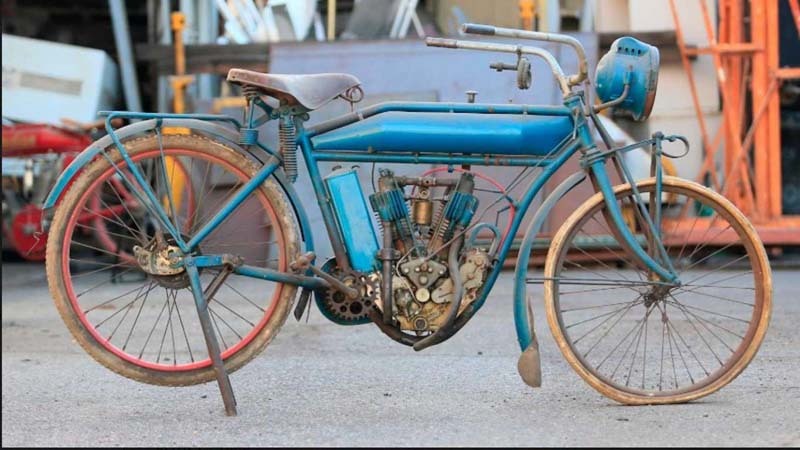 This remarkable collection spans the original Indian marque’s life, from inception until the day it was no longer a viable business (its subsequentresurrections notwithstanding). There is speculation that this collection is so rare, it might be the only one of its kind in the world.